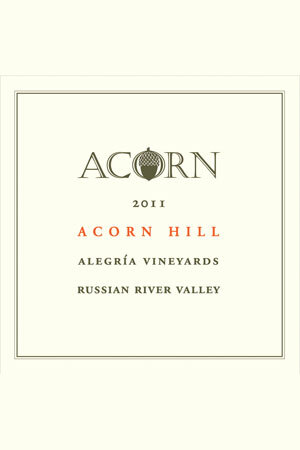 On Acorn Hill, which rises steeply to the east border of our Alegría Vineyards, Syrah, Sangiovese, and Zinfandel grow side by side, each in a field blend. Viognier is inter-planted with the Syrah. Canaiolo and Mammolo are inter-planted with the Sangiovese. 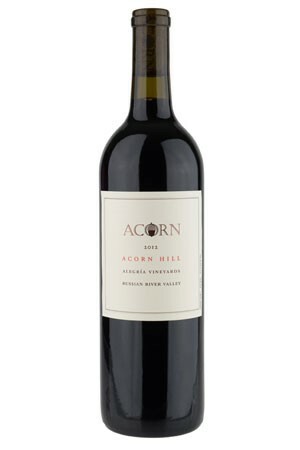 Petite Sirah and Alicante Bouschet are inter-planted with the Zinfandel. Ideal weather (no frost, no heat spikes, and no rain at harvest) and intensive hand-tending of the vines assured a balanced, evenly ripened crop that produced a full bodied wine. We picked the various varieties for this “Super Tuscan” on October 20, and co-fermented the crushed grapes with a Rhone yeast. 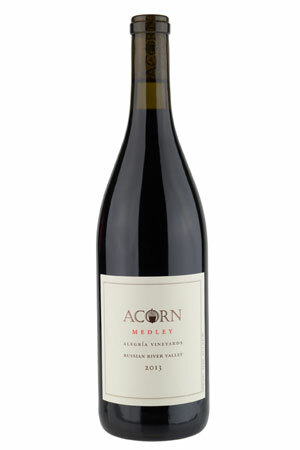 This age-worthy wine combines the vibrancy of Sangiovese, the structure of Syrah, and the fruitiness of Zinfandel, enhanced and integrated by aging in French oak barrels. The wine’s “minerally” notes remind us of the rocky clay-loam soils of the hillside. 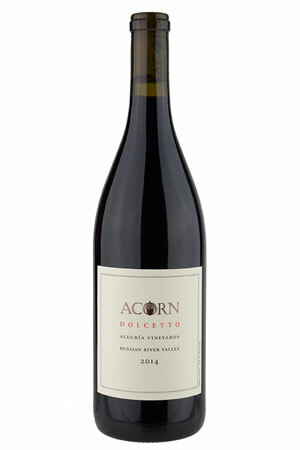 Petite Sirah, Mammolo, and Canaiolo. Enjoy it with simple Italian fare like penne arrabbiata or a more elegant meal of grilled peppered beef tenderloin with a morel mushroom red wine sauce.